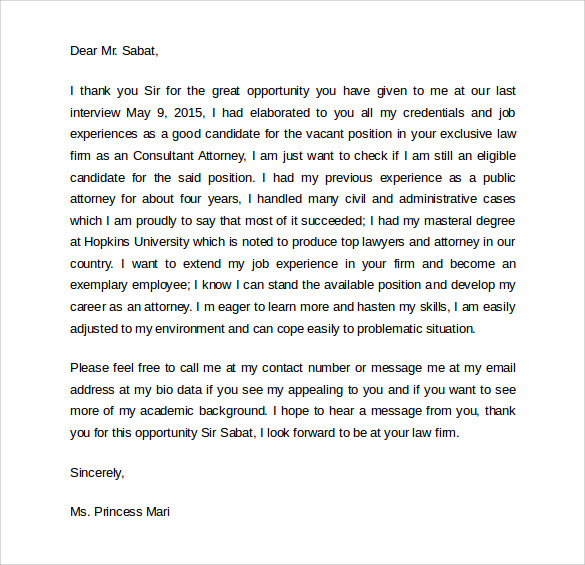 Follow up interview letter is usually written for expressing appreciation and thanks for the interview. 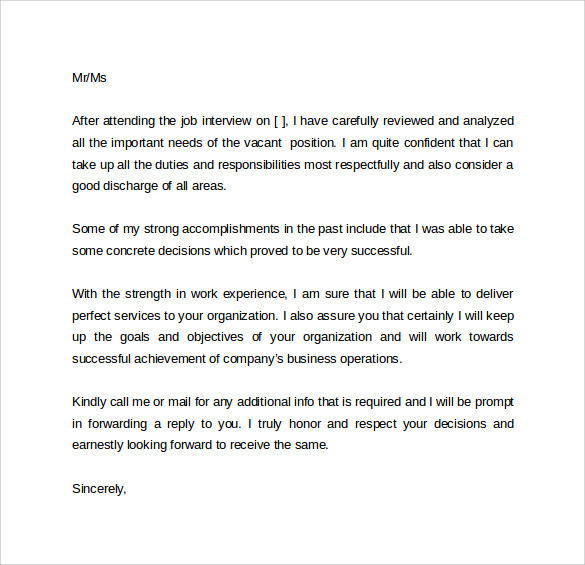 The main purpose behind writing a follow up interview letter is to show appreciation for the employer’s interest in you. You can also mention something that you had not acknowledged about your achievements. It could be about your qualities or regarding the position you are applying for. 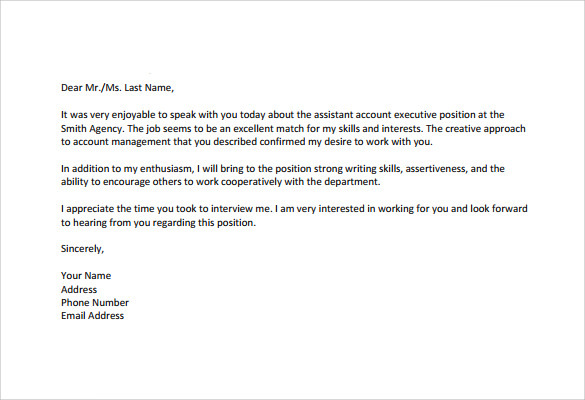 Writing a Follow Up Letters is a sign that you have good manners and know how to impress the employers. 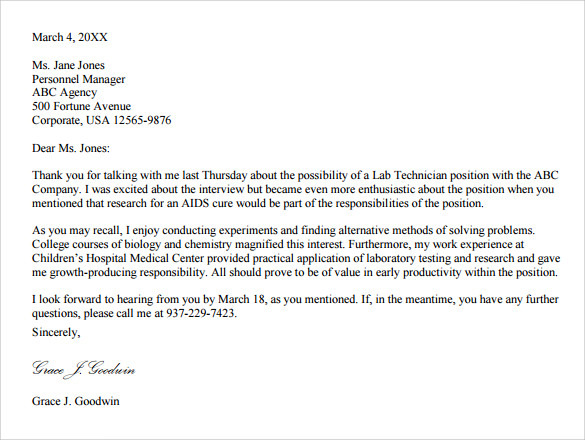 It should be always hard copy typed as it looks more appropriate and professional. 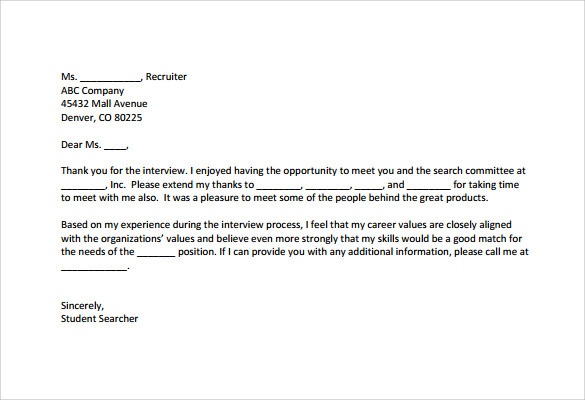 Also, do the follow up with any information that the employer may have asked you to provide after the interview. 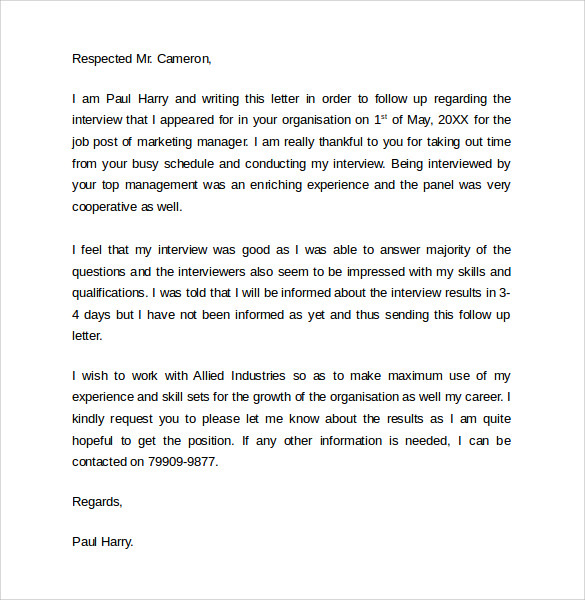 It’s a kind of opportunity for adding more quality to your interview. 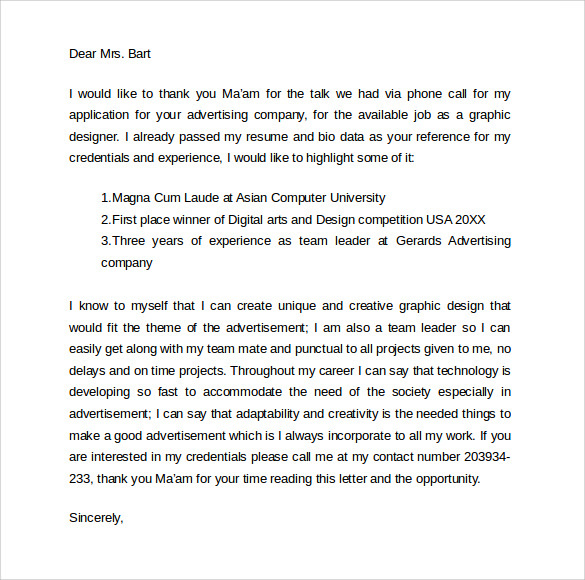 You can download Follow Interview letter to co-workers in word and pdf format right here and edit them as per your requirements.